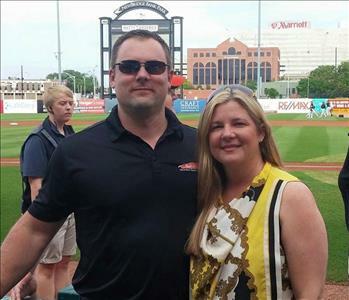 Britt and Stacy Holcomb are the franchise owners of SERVPRO of Greensboro North, Burlington, and Kernersville. Britt and Stacy have owned these SERVPRO franchises for over 18 years. Originally from Columbus, Georgia, Britt now resides with Stacy and their two kids in Browns Summit, NC. Britt has always been in restoration and has been with SERVPRO for twenty-five years! He is certified through SERVPRO for Crew Management, Fire Restoration and Water Restoration. Britt is also certified through IICRC for Water Restoration, Applied Structural Drying and as a Applied Microbial Remediation Technician. Britt really enjoys restoration and owning his franchises. When not working, Britt likes to be out on an ATV, camping and in general loves being outdoors. He also likes to travel especially to Vegas, New York and on cruises. Jeff Brown is the Operations Manager of SERVPRO of Greensboro North. Originally from Leesville, Louisiana, Jeff now resides in the Triad in Kernersville, NC. It's now six years that Jeff has been at SERVPRO. He holds many certifications. Jeff is certified through SERVPRO for SERVPRO ECTP for Water Restoration, Fire Restoration and Carpet Cleaning. He is certified as well through IICRC for Water Restoration, and Applied Structural Drying. Jeff is also certified through the state of NC as Lead Renovator. With a background in the Automotive Industry and Management, Jeff chose SERVPRO after playing in a band with Britt, owner of our franchise. Music is one of his hobbies, as are motorcycles. Jeff has a love for good food and a great appreciation for the outdoors. His favorite place to vacation is Florida. Divorced, Jeff has four children, ages 29,27,18 and 10. He also has two grandchildren, both two years old. The American Heart Association and the Red Cross are two organizations that Jeff enjoys volunteering for. Mike Lilly is Production Manager at SERVPRO of Greensboro North. Born, raised and still living right here in Greensboro, Mike has been with SERVPRO for almost ten years. He is SERVPRO ECTP certified in Water Restoration and is also IIRCR certified for Applied Structural Drying. He came to us with a background in construction. Mike loves to spend time at the beach whenever possible and also enjoys fishing. Brady is the Repair Construction Manager for SERVPRO of Greensboro North. Brady is new with SERVPRO, having just recently joined our team. He comes to us with a history in Construction Management. Originally from right here in Burlington, NC Brady now resides here in Gibsonville, NC with his girlfriend Jennifer and their kids. Two girls from her previous marriage, 1 girl from his previous marriage and their newborn baby boy that they just had together. Together they are all one big happy family. Brady's hobbies include grilling, riding motorcycles and fixing things. His favorite place to vacation is the beach. Brady chose SERVPRO to come work at because of the companies proven track record and long standing history in the industry. He feels SERVPRO is a great company with great people and that it's a great opportunity. To him it already feels like a family here at SERVPRO of Greensboro North and he is very excited to see what the future holds. 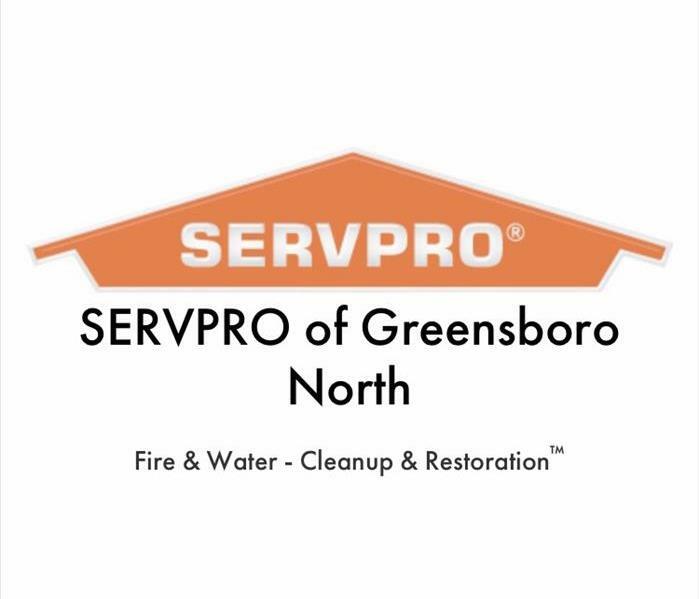 Ashly is the Director of Sales and Marketing for SERVPRO of Greensboro North. Ashly has been with SERVPRO for 10 years now and is both IICRC and WRT certified. Prior to joining our team Ashly had a career in the restaurant industry. Originally from an extremely small town in Rural Retreat VA, Ashly now resides with her Husband of 14 years and their two amazing daughters in Lexington, NC. Ashly stays very busy with her children both being in school and with her oldest playing soccer. As a family they love to travel and will be soon taking their first trip to Europe together. Kathy Coble is the Sales and Marketing Representative for SERVPRO of Greensboro North. A local resident, Kathy has been in sales and marketing for over 25 years. She enjoys volunteering time at a local nursing facility and spending time with her family. Renee is our reconstruction administrative assistant here at SERVPRO of Greensboro North. She was born and raised in Greensboro, NC. She has two kids and now resides right in Graham with her boyfriend. Renee is new to us here at SERVPRO. She comes to us with a history in Accounting. When not working, Renee enjoys baking, traveling and shopping. She also volunteers sometimes with Relay for Life. Mary Roberts is our Office Manager at SERVPRO Greensboro North Burlington Kernersville and has been with us for about two years now. Originally from Florida, she now resides right here in the Triad in Kernersville. Prior to SERVPRO Mary handled Professional Moving Claims and Sales. She chose to work for SERVPRO because of her desire to be in a position where her work matters and makes an impact on the lives of our customers. Her hope is to help someone and make a difference! When not working, Mary loves to spend time with her family and likes to cook. She also enjoys taking trips especially to her favorite spot, Key West. Misty is the Administrative Assistant for SERVPRO of Greensboro North, Burlington, Kernersville. 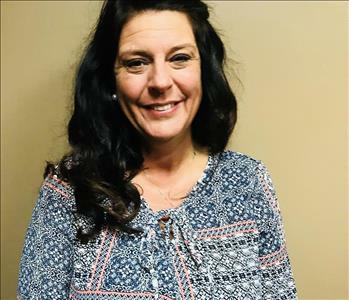 She has been with SERVPRO since January 2018 and while she handles administrative duties, she is also certified as a water restoration technician. Misty is a NC native from the Triad. A recent newlywed, she now lives with her Husband and two teenage children in Stokesdale. In her spare time she enjoys spending time with her family and making soy candles for her own small business. 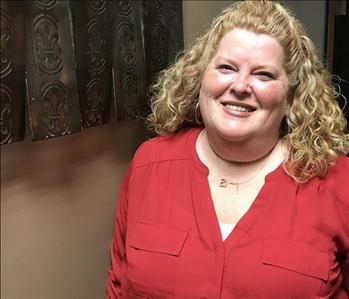 Heather Snead is an Administrative Office Assistant at SERVPRO Greensboro North. Having just begun with SERVPRO, she comes to us recently from the Medical Industry. A born and raised North Carolinian, Heather is from Haw River, NC and now resides in Mebane, NC. Heather has three children, a 15 year old daughter, a 13 year old son and a 5 year old son. When not at work she keeps busy with her children, especially with their involvement in sports. Her daughter plays travel fast pitch softball. Heathers favorite place to vacation is the mountains. She enjoys volunteering for Reach Out & Read and Crossroads. Mitchel is a Technician for SERVPRO Greensboro North, Burlington, Kernersville. Born and raised in Liberty, NC he still resides there in his home town. 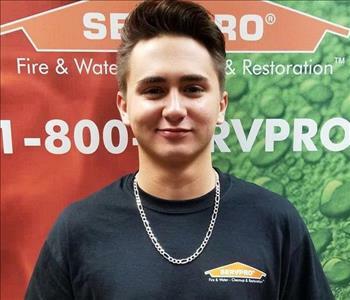 Mitchel is new to SERVPRO and comes to us with a previous background in construction. He enjoys partaking in Breast Cancer Runs for charity and likes to hunt and fish. He's got two younger brothers and his favorite place to vacation is Jamaica. Renee is a technician for SERVPRO Greensboro North Burlington Kernersville. She has been with SERVPRO for almost a year and is WRT certified. Now living in Kernersville, Renee is originally from Wytheville, VA. Prior to SERVPRO, Renee worked in production. Her favorite place to visit is the beach and she loves to sleep a lot in her spare time.